PaletteMaker creates a common 256-colour palette from a list of RGB pictures. It uses an iterative and interactive procedure in order to optimize those colours that you judge most important. PaletteMaker is flexible and achieves high quality. 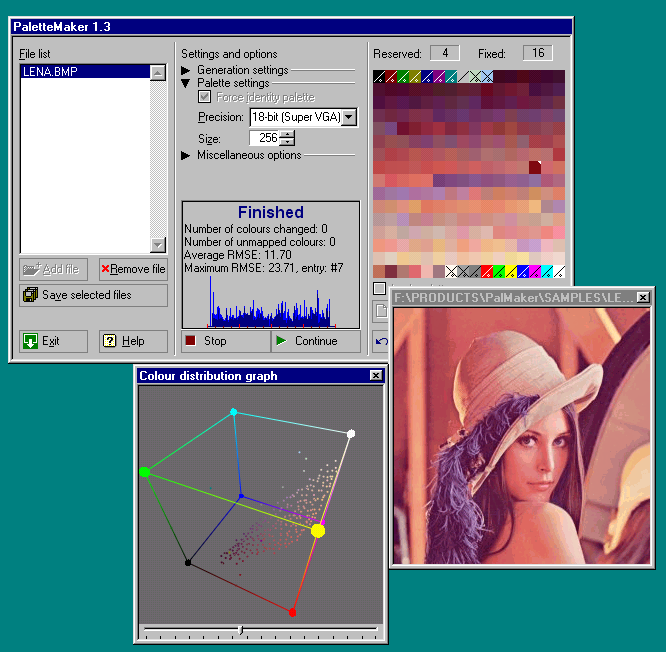 PaletteMaker knows about the peculiarities of the Windows Palette Manager and takes the human perception model into account. PaletteMaker combines palette generation with dithering in a way that optimizes the palette for the presence of dither.